FEATURES/SPECS Here's a gift item for the desk of a new graduate starting a career, or as a stationery box for someone who loves the art of letter writing. It is also a great choice for executive gifts to take along on business trips anywhere in the world, including Japan or China, according to the guidelines for appropriate gifts. 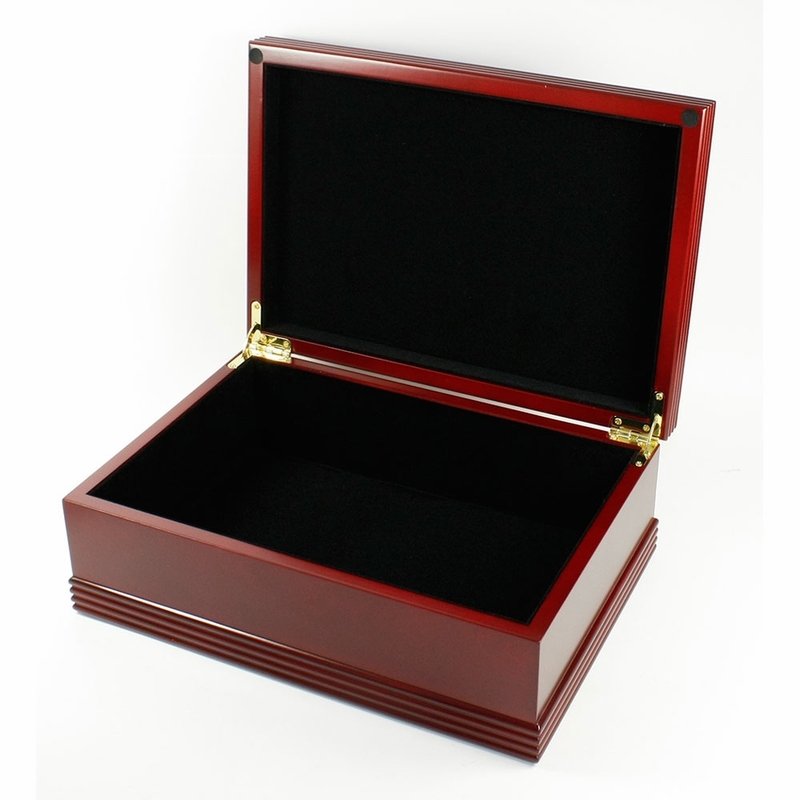 It's a solid rosewood desktop stationery box, with brass hinges, and black velour-lined interior, and measures 11 ''x8'x4'. We will add free personalization, with a laser-engraved classic Roman monogram, with a large last initial, flanked by smaller first and middle initials. 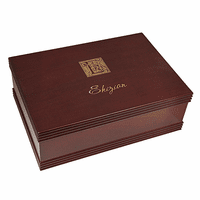 People appreciate the thoughtfulness and time and effort to get gifts personalized, and this is sure to be a winner that shows your excellent taste in gifts! We will package the stationery box in an attractive gift box that's ready for presentation at the perfect moment, and we'll ship it out, usually within 24 hours of receiving your order! You'll also receive our full Satisfaction and Performance Guarantee! 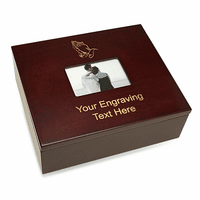 Yes, but you'll want to order it from this page: https://www.executivegiftshoppe.com/b572s.html This page has the same item but with the ability to add as much engraving as you need. Will this box fit letters inside? The dimensions of the inside are 10 1/4" x 6 3/4" x 2 3/4"
It is exactly what I was looking for. Quality very good. I received this item based on other reviews and they were not wrong!! I love the looks of this box. I purchased it for my first grandchild for his 16th birthday and will do the same for the next 6 grandchildren as they turn 16. So glad I found this company! !